Hi friends! 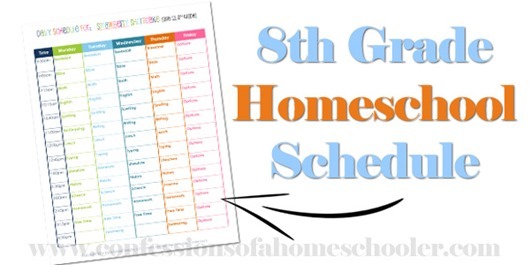 Today I’m sharing our 8th grade homeschool curriculum picks with you. We are continuing on with some of our staples and changing up a few things as well! 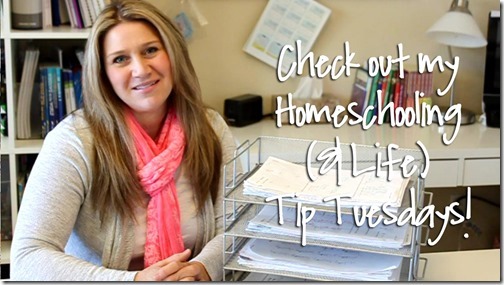 So to see what my 8th grader will be doing this year watch our 2016-2017 8th Grade Homeschool Curriculum video here! And that’s it for our 8th grade curriculum line up this year! I’ll try to do a mid-year update to let you all know how it’s going. We’re trying some new curriculum this year, so that’s always exciting! 1. You dropped vocab! I’m considering doing this as well – I’m glad to hear it’s been going well for all of you! 2. I can’t wait for the Rainbow Science review! 3. Will you be doing a review on the Atelier Art DVD? We currently use HomeArt Studio, but I’ve been thinking about making a change in the coming 1-2 years. I’d love to see how this new art DVD compares to HomeArt. Yes, the Fix It! Grammar has vocab in it, and I just didn’t see the need to do more than what is included already. I can do a review of Atelier after we’ve had a chance to use it a bit 🙂 But I do like Home-Art Studio DVDs for sure! Will you be giving a high school credit for the Biology class? Hi, Yes the curriculum we are using will count for 1 High School Biology Credit. From what I’ve been told by our high school counselor we can list this as happening during his 8th grade year and he’ll still get credit for H.S. Biology. Hmmm, my friend just tried to enroll her daughter in our local high school, but they wouldn’t accept anything from her transcript, so she would have to do 3 years of high school over again! How do you know the curriculums you use will be accepted for credits? Or is it just up to the individual schools? So I’ve been looking at the IEW website, and I’m confused. Their main product seems to be the dvd’s? Do you use the those as well, or just the books you showed in the video? Can you teach it without the dvd’s? We watch the DVD together, and then you need the student workbooks at the very least so they can do the activities. I do use the teacher’s manual as well because it shows you how to break up the lessons.